Adam Gase became an internet sensation mere moments into his tenure as head coach of the New York Jets, but off-putting facial expressions at his introductory press conference Monday will have no bearing on how he handles the task of turning around a franchise that hasn’t been to the NFL postseason since 2010. Just as teams have been falling over themselves this month in a rush to hire the hot young offense minds in the game, that was the case three years ago when the Miami Dolphins hired Gase. Remember, he was the offensive coordinator for the Denver Broncos when they set an NFL scoring record in 2013. In his first year at the helm, he finished 10-6 and took Miami to the playoffs. After back-to-back losing seasons, however, Gase was fired. He had compiled a 23-26 overall record in Miami. Gase turns 41 in March. He is still developing, and while he made some missteps in his first stint as a head coach, he also showed signs of being a successful leader. So much for Stephen Ross’ patience. Not to make excuses for Gase, but starting quarterback Ryan Tannehill continued to have trouble staying on the field in 2018, and the overall roster Gase had at his disposal was not exactly loaded with talent. And still, his team showed flashes. There was the Week 6 overtime victory over Chicago, in which backup QB Brock Osweiler threw for 380 yards and put up 31 points against the vaunted Bears defense. In Week 12, on the road at Indianapolis, they took a red-hot Colts team down to the wire in a 27-24 loss. And then there was the Week 14 stunner against New England. It took a miracle play as time expired to score the winning touchdown, but that fluke play overshadowed the fact that the Dolphins had already put in a tremendous effort against their AFC East rivals just to put themselves in position for that game-ending play. 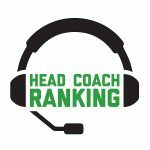 Overall, Gase finished 2018 with a Head Coach Ranking score of 6.6, which was tied for 28th. His best factor ranking was 6.8 for Personnel, which makes sense considering he dealt with several key injuries and lineup changes throughout the season. It remains to be seen how Gase will do in his new gig. What we do know is that the Jets are getting a young coach who has a) head coaching experience; b) a track record of offensive success; and c) a couple of big victories over the best team in the division.